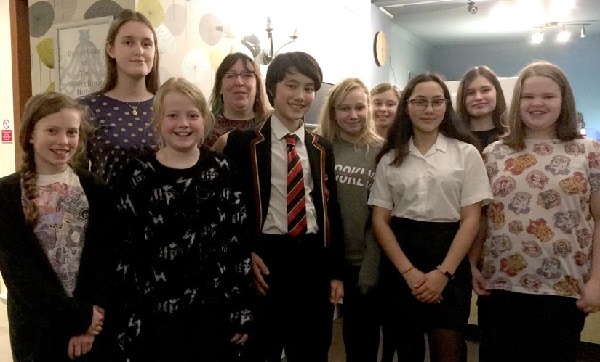 Hastings Young Writers meet at White Rock Hotel. The group was set up by Liz Caluori, second from left in the back row. Young people who live in Hastings and St Leonards can now join a new group for young writers. Hastings Young Writers meets at the White Rock Hotel every two weeks to write and discuss projects and competitions. The group is open to young people aged 11-17, and currently includes both those who attend school and those who are home-educated. The group has been set up by Liz Caluori, a member of Hastings Writers Group. It is currently collaborating on a joint writing project. Members of the group also write individually and get a chance to share their work. They were recently visited by the group’s patron, Kate O’Hearn, author of the Pegasus series. For more information, contact Liz Caluori at membership@hastingsyoungwriters.co.uk.